Improve Brand Reputation. Reduce Risk. Ensure compliance with key regulations like CAN-SPAM to avoid FTC fines, lawsuits, and legal liabilities. The Federal Trade Commission’s CAN-SPAM Act of 2003 states that you will be fined $42,530 per email in violation of the CAN-SPAM Act and no lawsuit brought on by the FTC for non-compliance has been settled for less than $1,000,000.00. Avoid unnecessary risk by utilizing OPTIZMO™ to ensure that you, your mailer partners, and your campaign offers are compliant with government requirements. OPTIZMO provides you with the tools you need, to know exactly how third parties are interacting with your suppression list data, customer data, and how your brand is represented to your consumers. OPTIZMO notifies you of suppression list abuse and potential compliance violations in three primary categories. Seed Hit Alerts notify you if any of your affiliates send email offers to your suppression or customer lists by planting unique “seed addresses” into your list with every mailer download. 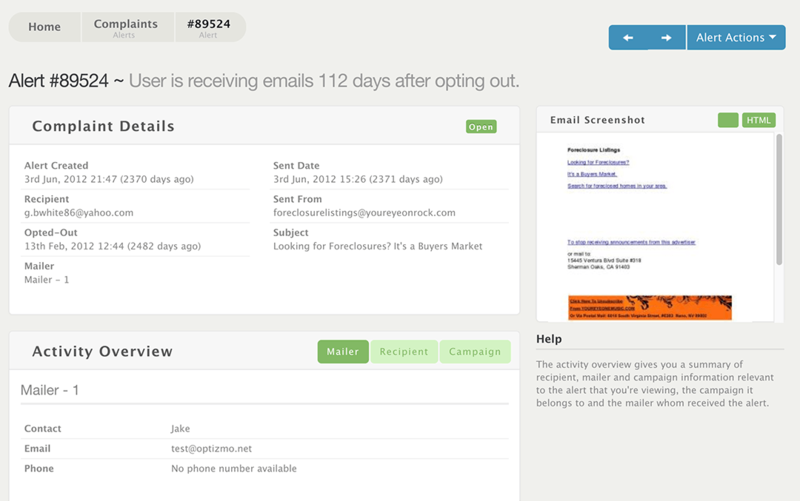 Recipient Complaints notify you of any recipient who has complained that they are still receiving email offers after unsubscribing and provides insight into the identity of the relevant mailer. Non-Compliance Alerts notify you if any of your mailers fail to access or downloaded your suppression list according to your preset business rules or within the time allowed by the FTC. 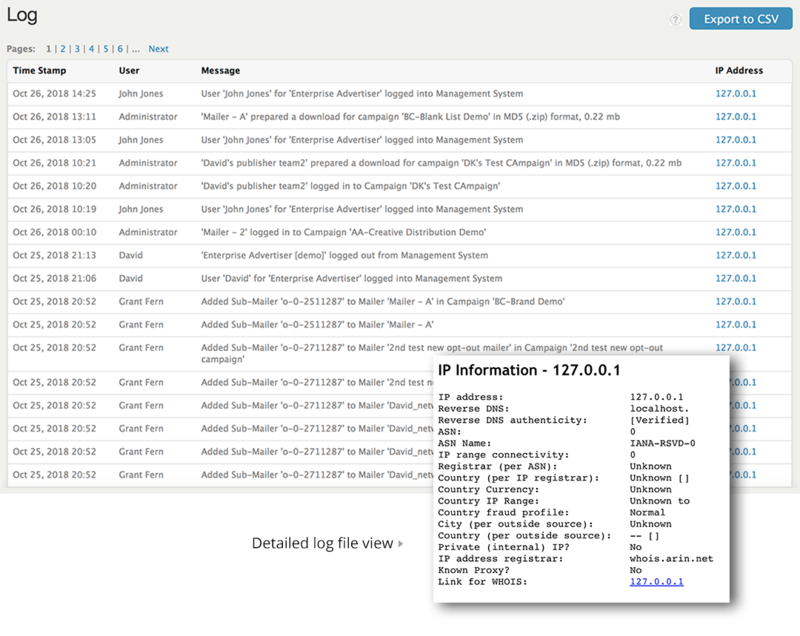 OPTIZMO logs, monitors, and tracks all mailer activity within the OPTIZMO application, enabling you to isolate any incidents, violations, or breakdowns in data transfers. Documentation is paramount when it comes to resolving a CAN-SPAM violation and can be the difference between having your email efforts shut down, receiving a very expensive penalty OR being able to prove to regulatory agencies that you have done everything within your power to be compliant. Keep everyone honest by reviewing the logs to see how your affiliate mailer partners are interacting with your email campaign offers and suppression lists. 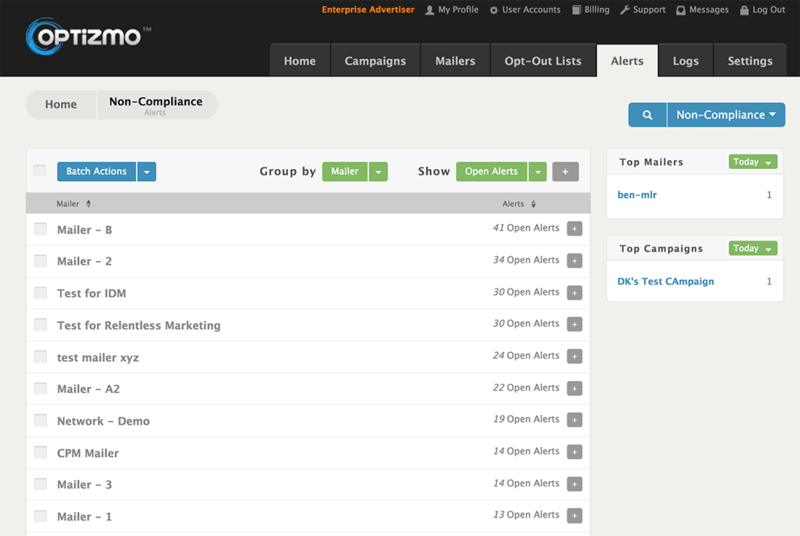 OPTIZMO auto-generates unique Opt-Out links with every mailer download and has the ability to auto-embed Opt-Out links within campaign creative through integrations with the industry’s leading Affiliate Tracking Platforms. Not only does this streamline efficiencies by eliminating the need for you to manually create and send links to your mailing partners, but it also helps mitigate risk and reduce liabilities by taking the guesswork out of where to place the Opt-Out link within your campaign creative or to which partner you distributed which specific link to. OPTIZMO does the heavy lifting so you don’t have to.